For the letter I, I have gone for icecream, possibly my favourite dessert! Finally we were asked to show our finished dictionary and I have made a collage showing a lot of my altered pages, I have printed it out and just have to cover my dictionary now. I'd like to wish you all a wonderful Christmas and a crafty New Year. What a great finished project you've finished up with Val. Can't wait to see it IRL with it's new collaged cover! Fab project Val! Have a great Christmas! Fabulous pages. 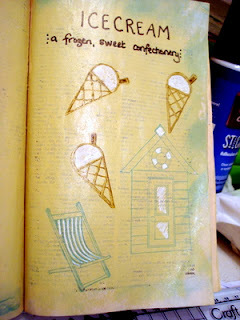 its a great idea to use a collage of the pages for your cover. Hope you have a super Christmas. Great pages with complete opposite subjects - xmas and ice creams. Love them all together with a great selection of colours and styles etc. Happy Christmas! 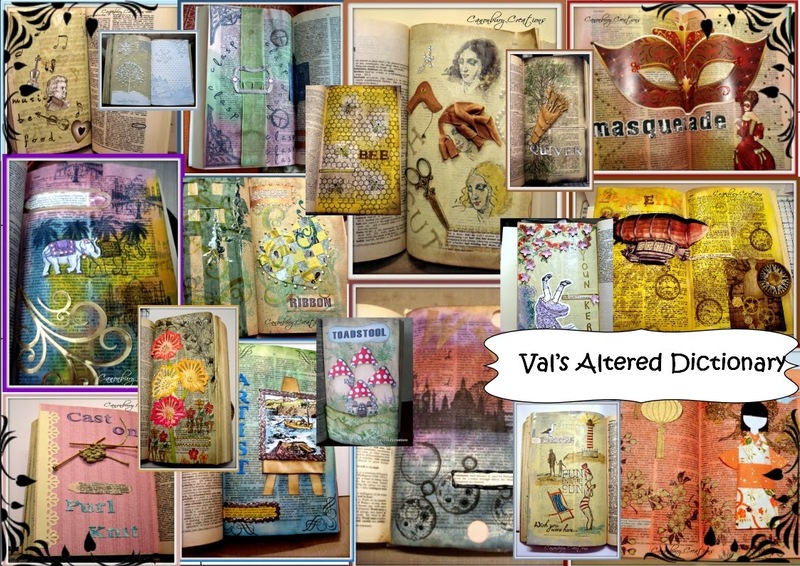 Your pages look fab, Val. Such a lovely project to keep and look back on. love that whimsical Christmas page that you created, val! 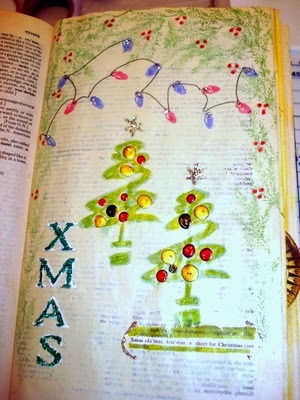 have so enjoyed seeing all your alpha pages this past year... wishing you and your family a very merry Christmas! Lovely pages. 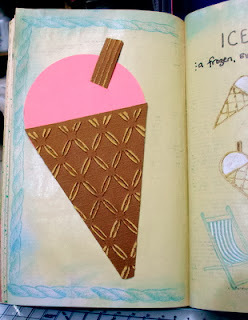 Love the whimsy tress and the summer theme with ice. 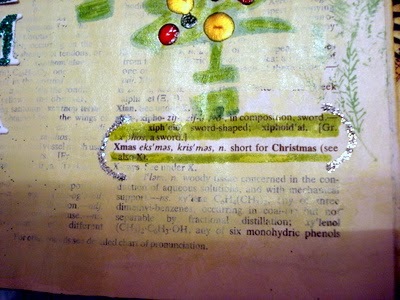 The collage idea for your book cover is really cool. You did some sensational pages for x and I, Val!! Ice cream is just as good at Xmas as it is in the summer!! Icecream!! Good word! Love both your pages. Hasn't it been fun? 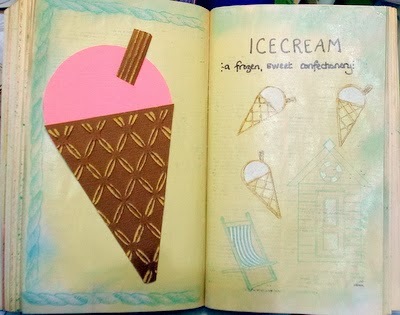 These are fantastic pages, the icecream one looks very yummy. A great collection of pages. I hope you enjoyed a lovely Christmas and that you got to spend time with Charlie. Well done Val, you have done amazing this year! Hope you will join the new challenge in 2014. Happy new year Val. What amazing pages and I love the collage a lot of hard work went into this its absolutely fabulous. Fab last two pages and yes in New Zealand and Australia ice cream and Christmas go together very well - it is not a strange combination at all. Look forward to seeing the cover. Happy New Year.